Haven't posted on here for a couple of years, but have to put in a word from down under about this pub. Liverpool is blessed with this old charmer, a pub of the sort rapidly disappearing in Australia & also in your country. My last visit was August 2018 and I experienced the customary friendly service, a satisfying pint of Tetley's cask & a great chat with random folk. Fingers crossed it will still be there in August 2019. Thankfully still with us and still selling good ale. Still under threat which seems crazy given all the vacant plots that could be used for even more student accommodation..
Absolute cracking pub. Just to endorse the last two entries. 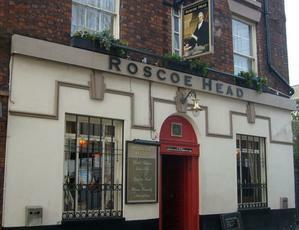 Still under threat sadly, one of the best pubs in town; great beer, friendly staff and locals, classic old Liverpool pub. First trip back in years, to my favorite Liverpool pub. Small bar with three small rooms off. No music or T.V. on. Just friendly conversation and good ales, the selection of which, has improved since my student days in the 70's. By the way the words luxury, student and accommodation should never be used in same sentence. 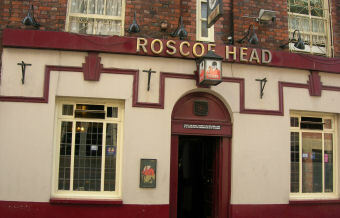 Save the Roscoe Head. Still one of the city's best pubs and still under threat from redevelopment. Surely if they build around Zorba's Greek restaurant round the corner (which isn't the most aesthetically Victorian buildings) they can build round this one.